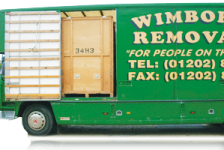 Wimborne Removals offer a professional, personal and friendly service using pantecnicons and our own fully trained staff. We also offer container storage which is dry and clean, and a packing service, second to none! We do not offer gimmicks but old-fashioned honest service from a reliable, friendly company. 1. Select the services you require. 2. Moving Dates and Addresses. We are a family run removal and storage company that has been involved in the transport and removal business for over 80 years and four generations of the family. We are based in Wimborne near to Poole and Bournemouth in Dorset. The business was originally started in 1924 by my great grand father and was called ‘G Marks Transport’. The mode of transport then was a steam engine which was later added to with lorries. The main work undertaken then was general haulage and agricultural haulage together with local removals. 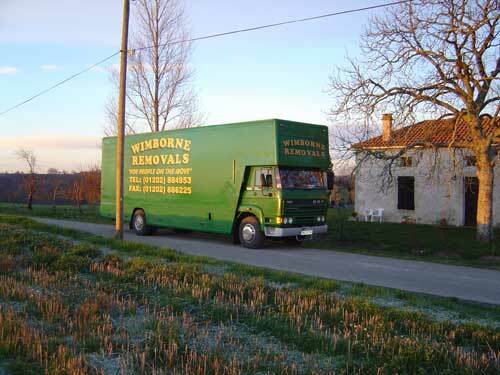 In 1994, the business diversified away from road haulage to solely removals and storage. Today we move people all over the UK and mainland Europe. We offer a friendly professional personal service and aim to be as flexible as necessary to ensure the removal is completed to your satisfaction. We have many years experience moving people from just around the corner to all over the UK – including Ireland. As a company we take great pride in our work and reputation and have many loyal customers and businesses that use us again and again, including one customer in Sandbanks we have moved sixteen times. Upon receiving your enquiries we personally visit your home to see you and discuss your removal. Unlike some large companies, you are not just a number and we take pride in each person we move. We offer a far more personal service. Our staff are fully trained and employed by us and in uniform. We protect your carpets with floor coverings and all furniture is protected with transit blankets whilst in our care. Mattresses are wrapped to protect them from getting dirty. For delicate items, rest assured that we have a good deal of experience transporting works of art, antiques, pianos and other items of extreme value – we once transported an oil painting worth in excess of 1 million pounds! In addition to our standard removal services, we also offer a part or full packing service to compliment your move. If you require this or need to know a little more about the service please ask the estimator at the time of your quotation. We operate modern professionally built pantecnicons with air suspension to ensure your contents arrive at their destination in the condition we collected them. Each vehicle is equipped with transit blankets, straps for securing items and piano wheels for moving pianos and sack trucks. Wardrobes are also on the vans to transport your hanging clothes. We have been moving people to Europe for many years and have a huge experience in this specialist market. 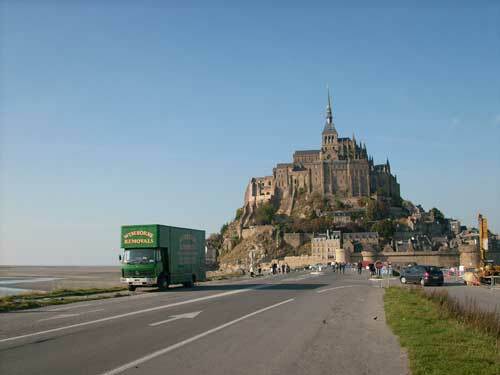 We specialise in moving people to France, both moving full loads and part loads to and from France. Apart from France, we also move people to all full member countries in Europe. 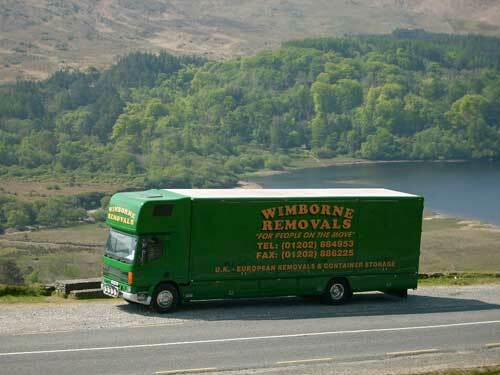 Unlike alot of removal companies that advertise this service, we do actually go! To be able to move people abroad you must have an ‘International Operators License’. We show all of our clients this when undertaking removals to Europe. Unlike the UK, there are more pitfalls when moving people abroad so it is in your interest to use an experienced company. 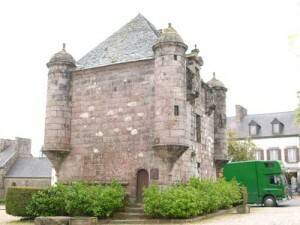 To us, moving you abroad is like a removal locally due to our years of experience. How many days will the removal take, 2 men and a lorry to complete. We offer modern container storage to all our clients. These are wooden containers that are forklifted onto the removal pantanicon then loaded at your address and unloaded in the warehouse. Peace of mind that your contents cannot be mixed up with another clients as only your contents are in the container safe and secure. The containers can hold 250 cubic ft and the outside dimensions are 8ft x 7ft x 5ft. If you need to de-clutter some of your contents from your house or sheds garage for whatever reason, please do not hesitate to contact us. 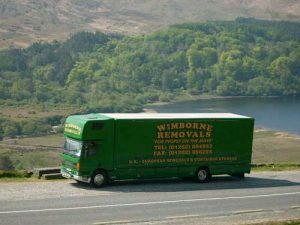 Contact Wimborne Removals on 01202 884953 so we can arrange to visit you to give you a free written quotation and free advice about your forthcoming removal whether it be a local removal, long distance or Europe. Once you have a firm removal date please call us to book your removal in our diary, then complete and return the acceptance form that came with your quotation. Please include where possible your new phone nbumber and any mobile number you may have. Before we move you it is an ideal time to have that long-awaited clear-out of all your rubbish and junk. There is no point in paying us to move unwanted items from one house to another so try and clear out the loft, garages, sheds and unwanted outside items in the garden. Please advise all your neighbours of your moving day to ensure we can park a Pantecnicon outside without any problems. If necessary please contact your local police station or traffic wardens and they will arrange to ensure that there is space – they will normally arrange to do this the night before your move if you ask them. It is a good idea to try and organise child care on the day of the move with a member of the family and also any pets you may have. Notify all banks, building societies, credit card companies, DVLA and insurance companies of your new address. Contact your local utility companies and give them your meter readings. Contact your telephone and internet service provider. Please don’t pack the kettle and mugs!